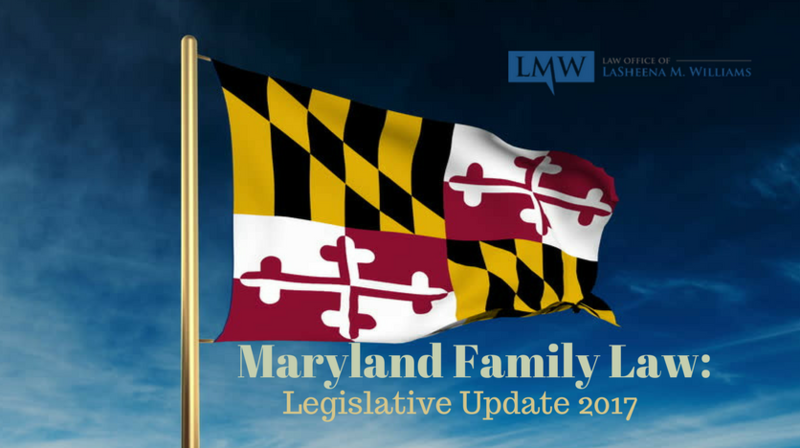 Every year, Maryland’s legislature passes new laws that impact many Maryland family law cases. 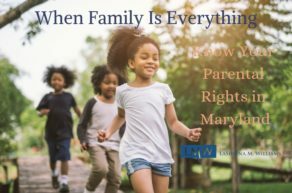 This session, the Maryland legislature passed a significant number of family law related bills into laws. This new domestic violence law makes all domestic violence related orders admissible in Maryland custody and Maryland divorce proceedings. 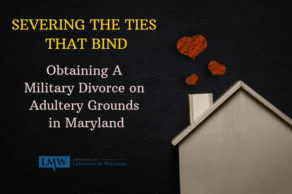 Courts may now use grounds for a protective order petition, compliance, or even violations of domestic violence orders when determining if a Party has met their burden for proving grounds for divorce. This new law eliminates the previous requirement related to obtaining a name-change related to a divorce. 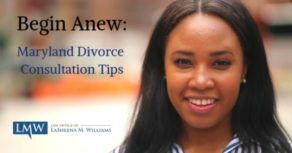 Previously, a Spouse was required to plead for a name change during the divorce process and make the name change request at the time of the divorce. As long as a party decides to modify or restore their name within 8 months of the decree, the Party can avoid Maryland’s strict and often time-consuming name change requirements. This legislation repealed the Maryland filial support law. Under the former law, in certain circumstances adult children were required to contribute to the expenses and care of sick and non-self-supporting parents. 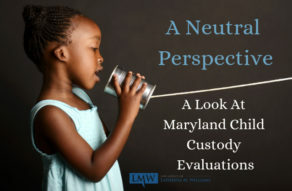 The law allowed the Maryland Circuit Court and Maryland Assistant State’s Attorney to criminally charge adult children who neglected and refused to financially provide for their parents. 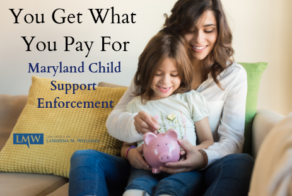 This new child support law extends the time period that a commercial driver’s license may be out of compliance regarding child support payments before the Maryland Child Support Enforcement Administration may notify the Mother Vehicle Administration to suspend the individual’s commercial driver’s license. 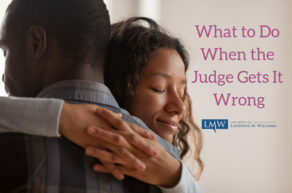 At the Law Office of LaSheena M. Williams, LLC we take pride in knowing the relevant Maryland Family laws that will impact your divorce, child custody, domestic violence, adoption, and other family law related matter. If you have a domestic matter, the counsel of an experienced family law attorney can be very helpful. The Law Office of LaSheena M. Williams strives to represent your interests with the most up to date information available. 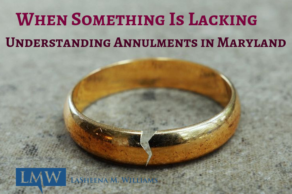 Contact the Law Office of LaSheena M. Williams, by calling (301) 778 – 9950 or by requesting a consultation. We serve clients throughout Montgomery County and Prince George’s County.